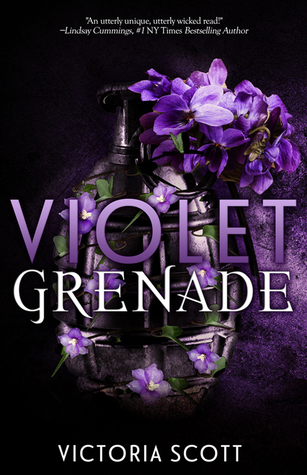 I’ve seen almost exclusively positive reviews for Violet Grenade so I feel like I’m the odd one out for not loving it. I’d read one of Victoria’s other books, Titans, and I loved it so I was really pumped to explore her other books. I can’t really put my finger on why this book wasn’t for me but it just hit me the wrong way. Right away, there was something about the main character and writing that felt off to me. I can’t really explain it but it felt almost… fragmented. Like a rough draft or something. The main character, Domino, was just weird. I couldn’t connect to her at all and she felt unnatural. It was never really acknowledged that Domino seemingly had a mental illness (I thought she had schizophrenia) and her illness was more of a plot device. The plot was predictable and unengaging to me and I just couldn’t get into it. Overall, this book wasn’t for me. I’ve seen tons of great reviews for Violet Grenade so maybe I’m just being overly critical. However, if you’re triggered or sensitive to schizophrenia or mental illness not being completely addressed in a book, I would recommend not reading Violet Grenade. Too bad it was a bust but very interesting review!